In line with President Rodrigo Duterte's promise to the Overseas Filipino workers (OFW) to abolish the overseas employment certificate (OEC) to make the lives of OFWs easier, eliminating the long queues just to secure a paper which will allow the OFWs to work abroad. The Department of Labor and Employment (DOLE) came up with an idea of issuing the OFW ID or the iDOLE which will serve as the new OEC. DOLE and OWWA were set to proceed with the distribution of the said ID but due to some issues, DOLE Secretary Silvestre Bello III canceled the distribution until further announcement. Recently in an interview with Presidential Communications Operations Office Assistant Secretary Mocha Uson, Bello confirmed that iDOLE will be distributed tentatively on the latter part of August or the middle of September at no cost to the OFWs. Initially, there are already about 3,000 OFWs who already received their iDOLE. Bello said that those who already got their IDs no longer need to secure OEC. Bello assured the OFWs that the IDs are absolutely free upon distribution. He also said that the IDs to be distributed will be foolproof and there will be no way that the people who are trying to make money out of it will succeed. 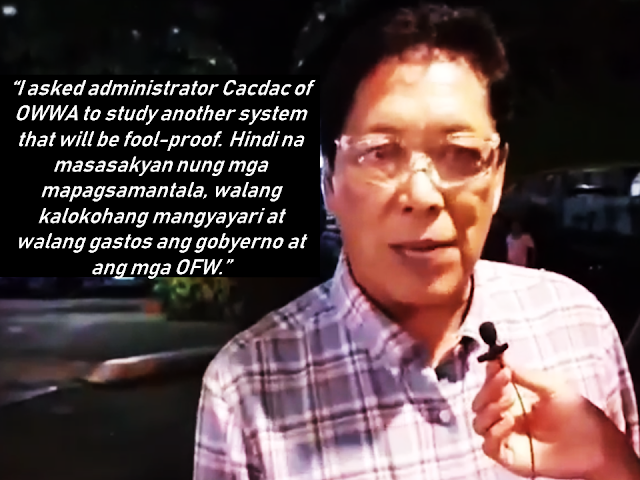 The distribution of the OFW IDs will be under the discretion of OWWA Administrator Hans Leo Cacdac. 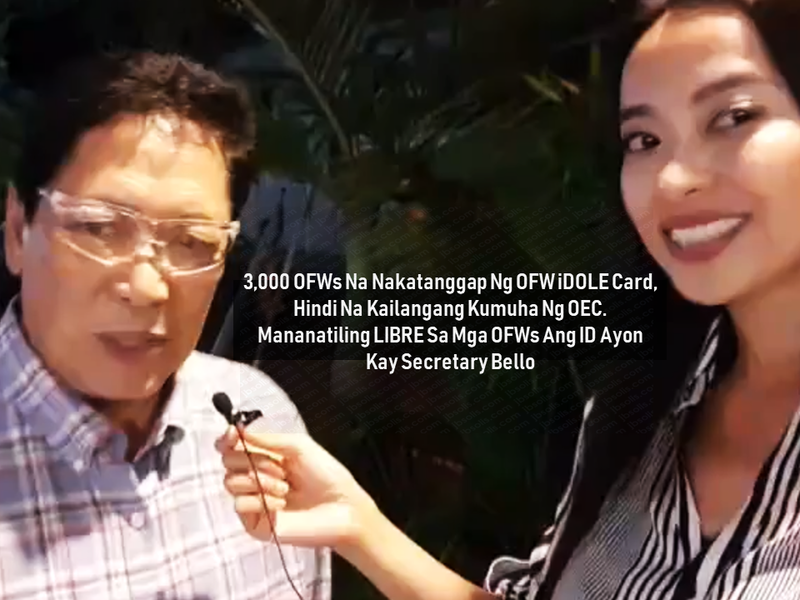 A party-list representative earlier hurled corruption accusations against Bello regarding the distribution of the OFW ID saying the secretary is collecting money from the supposed to be free iDOLE card. Bello denied the allegations and stated that the very reason why he stopped the distribution of the said ID was that he discovered that there are people who want to make money out of it. What is OWWA’s Tulong Puso Program and How OFWs or Organizations Can Avail? Do You Know That You Can Rate Your Recruitment Agency?